Testosterone Suspension is the most powerful muscle builder and at the same time is the most powerful testosterone. AQUATEST is the purest testosterone because it has esters. This steroid is the oldest on the market and it's still very effective. AQUATEST is dissolved in oil and not in water. With the time in vials in the bottom, the water is accumulating. Therefore before using it is good to shake it well. Injections are very painful and are administered every day or every other day. Administered 100 mg every day, which means a double dose of testosterone containing esters. If combined with Danabol then can earn up to 10-14 pounds of muscle in 8 weeks. Because of the high doses water is retained in the body and may occur fat layer + gynecomastia. Since it is a very androgenic steroid, side effects can occur as enlarged prostate, hair loss, deepening of the voice with a more pronounced accent than with other steroids. 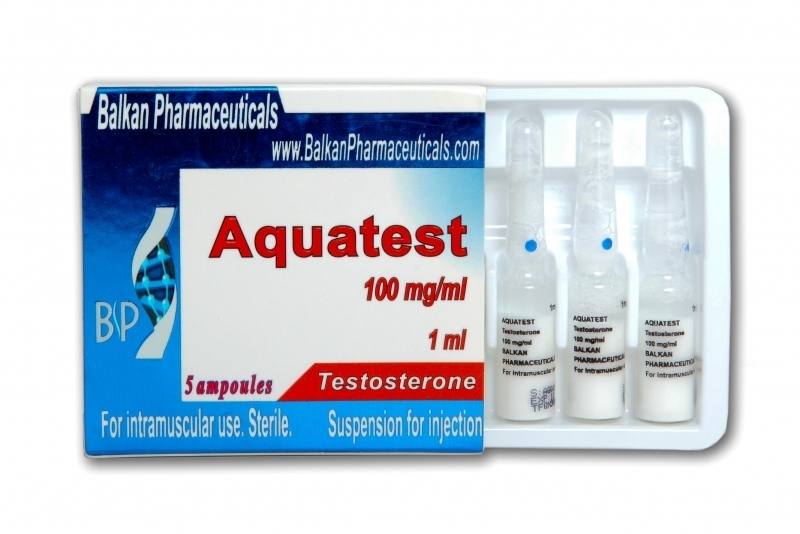 AQUATEST is not recommended for beginners, it is used by more experienced steroid users. The optimum dose is 10-50 mg per day and can be combined with other injectable steroids with less effect. 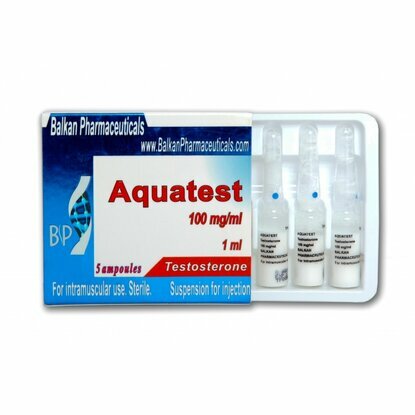 AQUATEST can be combined with oral steroids such as Anadrol or Danabol. Testosterone Suspension and Nandrolone is the most suppressive drug of natural testosterone, therefore after AQUATEST cycle is necessary to administer, after 4-5 days from the last injection, Clomed or Tamoxifen. In the first 2 weeks can be administered a dose of 40-50 mg, after the next 2 weeks take a dose of 20-25 mg.